This charming little Climbing Elf will find his way into your heart this holiday season. Each clever little waif is around 8cm wide by approximately 11cm in height. 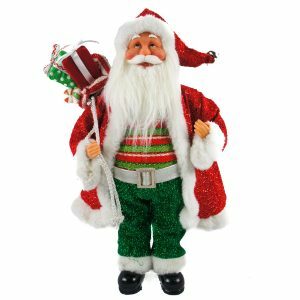 Enjoy the mischief in his eye and his smart little suit when accenting your tree, decorating a wreath, or looking for a practical gift option that will appeal to a wide range of recipients. Check out this little guy’s glitzy gold boots- he really is a stylish little chap! 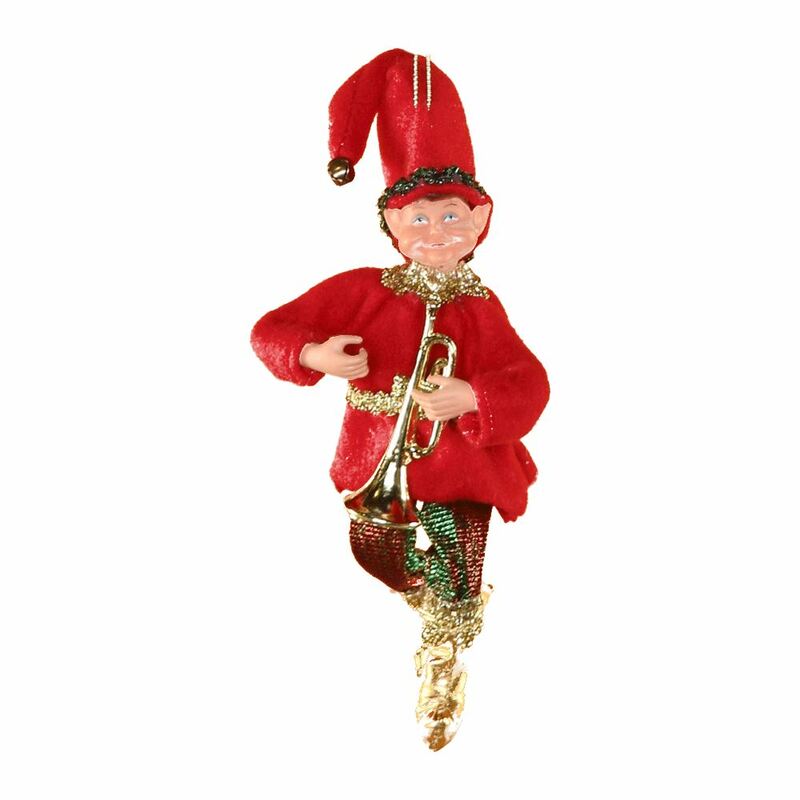 This elf holds a length of golden cord so he is either helping you deck the halls, or he is getting into some kind of trouble! This would be a fun and festive option that resembles shelf-sitting elves which are common around the home during the holidays. This would be an inventive alternative that could prove to be the foundation for a new family tradition during the Christmas season.